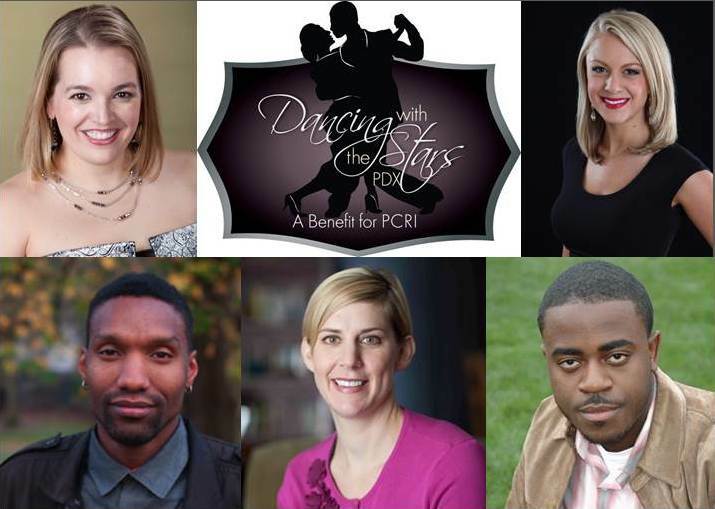 PCRI’s third annual Dancing with the Stars benefit gala will feature five prominent Portland community members, each competing with their professional partner from Fred Astaire Dance Studio to earn the title of Gala Champion. The dancers for the March 15, 2014 event include: Ifanyi Bell, Emmy-nominated producer for Oregon Public Broadcasting; Ashley Korslien, reporter at KGW Newschannel 8; Charles McGee, CEO of The Black Parent Initiative; Kelly Russell, professional benefit auctioneer; and Jennifer Williamson, Oregon State Representative for District 36. The gala will feature a reception, dinner, and live auction and will take place at the Portland Hilton and Executive Tower in downtown Portland. All proceeds from the event will support the affordable housing and award-winning services PCRI provides to help low-income Portland families achieve stability and self-sufficiency. Judges for the dance competition include: Samuel Brooks, founder and Chair of the Oregon Association of Minority Entrepreneurs; Kristin Connor, Capital Pacific Bank; and Jill Nelson, founder and CEO of Ruby Receptionists (and a competitor at the 2013 gala). The reigning gala champion, Katherine Cook, reporter for KGW Newschannel 8, will lead the event as Mistress of Ceremonies. In addition to the dance competition, Multnomah County Commissioner Loretta Smith and Metro Councilor Sam Chase will open the event performing a featured dance. Read more about the 2014 gala here or by joining the conversation on Twitter using #PCRIgala. Tickets are on sale now for the event on March 15,2014. Portland Community Reinvestment Initiatives is proud to sponsor the Celebrating Black Pioneers luncheon, to be held on December 27, 2013 at the Oregon Association of Minority Entrepreneurs (OAME). PCRI invites community members to join in honoring the lives and accomplishments of five people who made a difference for Portland’s Black community. Please RSVP to PCRI by telephone at (503) 288-2923 or by email. The luncheon will be held on Friday, December 27, 2013 from 11:00 a.m. – 1:00 p.m. Please note a change of location from earlier announcements. The luncheon will take place at OAME: 4134 N. Vancouver Avenue, Portland, Oregon. 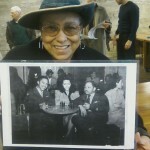 Pauline Bradford, respected teacher, neighborhood advocate. 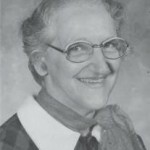 Mrs. Bradford was a teacher at Peninsula Elementary School until her retirement in 1989. She has a strong connection to Albina and the Eliot neighborhood where she has lived for fifty years. She is Past President of the Northeast Coalition of Neighborhoods and she remains on the Board representing the Eliot Neighborhood Associations. She has long been active in the Association of Colored Women’s Clubs & Youth Affiliates (the oldest African American women’s organization in the U.S., founded in 1896). First elected President of the Oregon chapter in 1982 she served several subsequent terms and was also elected to a term as President of the Northwest Region of the Association. Currently, she is a member of the National Board of the Association. 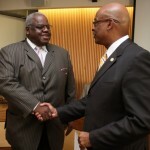 Harold Williams, Sr., member of Portland Community College’s Board of Directors from 1990 until 2012. Mr. Williams continues to be remembered by his peers and community not only for his service to PCC, but also as a community leader for over 50 years, including work for Governor Bob Straub as affirmative action director and equal opportunity coordinator (a role he later filled at the Portland Development Commission as well), and as a consultant to the Oregon Youth Authority. Mr. Williams was also president of the Portland African American Chamber of Commerce and chair of the Coalition of Black Men, among many other accomplishments. Evelyn Collins, daycare owner and community member. Miss Collins, as she was commonly known, purchased in 1965 what is now the Wonder Ballroom. There, she earned the respect of Eliot community members by caring for the neighborhood’s children. “She cared about some kids that others threw away,” says Ralph Davis on the Eliot Neighborhood website. “Being a white person, it was unheard of what she did in the Black community.” Miss Collins received numerous community service awards over the years, including KOIN-TV’s Jefferson Award, and the Humanitarian Award from Delta Sigma Theta Sorority. Dr. John Marshall (photo not available), one of Portland’s first black medical doctors. Dr. Marshall was a prominent physician whose own practice mirrored the challenges of many black Portlanders. Originally located near Memorial Coliseum, eminent domain forced him to relocate his practice to a new location on North Williams Avenue to make way for the construction of I-5 in the late 1940s. Regardless of location, Dr. Marshall’s connection to the community went beyond that of a typical physician: he strengthened the community by stressing education as a means to better oneself, and he routinely wrote off 20% or more of potential income caring for patients who did not have the means to pay for his services. All photographs and information are thanks to the sites to which they are linked. Did you miss Roots Festival this year? Not to worry, we have lots of pictures to share with you! Roots Fest happened on September 1st at Pioneer Square. It was part of our Healthy Foods Access Initiative where we got to showcase the produce our residents had been growing along with local, afro-centric food, vendors and entertainment. 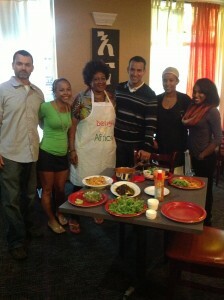 Will Allen of Growing Power was also in town to talk to the community about urban farming and sustainable agriculture. We are thankful to all those who participated! Portland Roots Festival will feature a variety of food, art, and cultural practices from Portland’s diverse African Populations. The festival, held on September 1 at Pioneer Courthouse Square in downtown Portland will run from 12 noon until 8:00 p.m. It is PCRI’s first culturally specific food festival, promoting healthy living through healthy food choices and activities from the rich and ancient traditions of the African people. Admission to the festival is free of charge and all ages are welcome. B-boy dancing, spoken word art, drum and DJ music, and much more! The Portland Roots Festival is free and open to all ages. The festival is Sunday, September 1, 2013 from 12:00 noon until 8:00 p.m. at Pioneer Courthouse Square in Portland. A tentative schedule is available HERE. Please note that all times are subject to change without notice. PCRI will host the Portland Roots Festival on September 1, 2013, from 12:00 noon to 8:00 p.m. 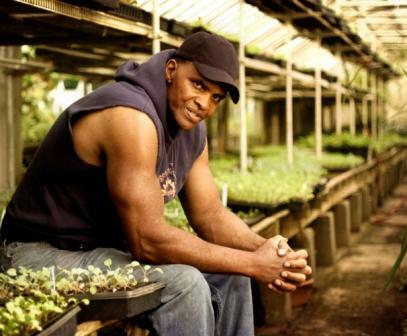 Thanks to generous support from our sponsors, including Platinum Sponsor NW Natural, the festival will feature a keynote from Will Allen, founder and CEO of Growing Power, Inc., and a leading authority in the expanding field of urban agriculture. The celebration will also include African, African-American, Afro-Latin and Afro-Caribbean food vendors, performers, non-profit community groups, micro-entrepreneurs. PCRI gives special thanks to our Platinum Sponsor, NW Natural, for helping make this celebration a reality. Gold Sponsors have also provided essential support for the Roots Festival. The festival’s gold sponsors include Wieden + Kennedy, Legacy Health, and the Oregon Health Authority’s Office of Equity and Inclusion. PCRI also appreciates support provided by Multnomah County’s Office of Sustainability, a Silver Sponsor for the festival. Additional support for the Roots Festival has also been provided (in no particular order) by New Seasons Markets, Portland Trailblazers, Time Airport Shuttle, Dave’s Killer Bread, Steven Smith Tea Maker, Spirit Mountain Community Fund, and Union Cab. For more information about the Roots Festival, check HERE. Read more about keynote speaker Will Allen HERE. In celebration of the PCRI’s Healthy Foods Access Initiative, we are hosting the Portland Roots Festival on September 1, 2013. We will be in Pioneer Square from 12:00 p.m. – 8:00 p.m., exploring the African roots of signature dishes from some of the city’s tastiest restaurants and food carts. Come savor the vibrant flavors of global street food in a beautiful open air setting. The event will feature African, African-American, Afro-Latin and Afro-Caribbean food vendors, performers, non-profit community groups, micro-entrepreneurs, and a key-note speech from Will Allen, founder and CEO of Growing Power Inc.
Mr. Allen – the son of a sharecropper, former professional basketball player, ex-corporate sales leader and now farmer, has become recognized as among the preeminent thinkers of our time on agriculture and food policy. 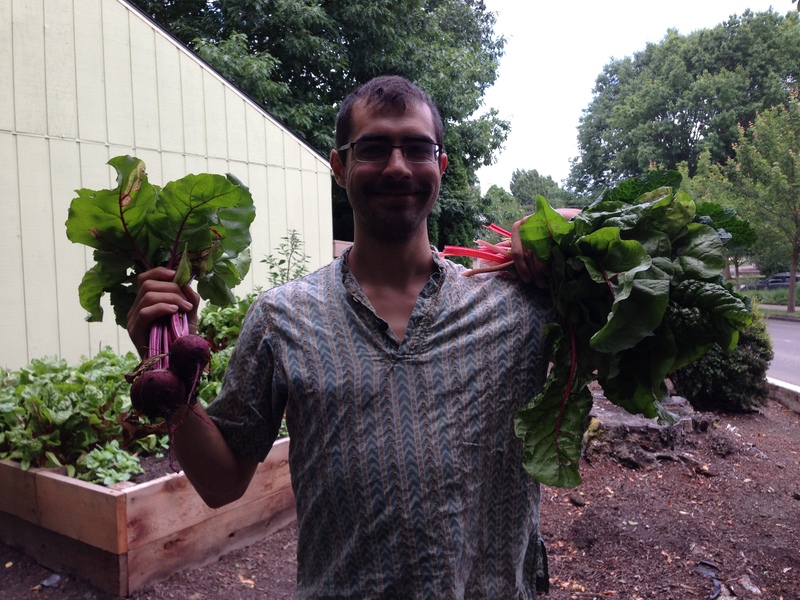 The founder and CEO of Growing Power Inc., a farm and community food center in Milwaukee, Wisconsin, Will is widely considered the leading authority in the expanding field of urban agriculture. At Growing Power and in community food projects across the nation and around the world, Will promotes the belief that all people, regardless of their economic circumstances, should have access to fresh, safe, affordable and nutritious foods at all times. Using methods he has developed over a lifetime, Will trains community members to become community farmers, assuring them a secure source of good food without regard to political or economic forces. In 2008, Will was named a John D. and Katherine T. McArthur Foundation Fellow and was awarded a prestigious foundation “genius grant” for his work – only the second farmer ever to be so honored. He is also a member of the Clinton Global Initiative, and in February 2010, he was invited to the White House to join First Lady Michelle Obama in launching “Let’s Move!” her signature leadership program to reverse the epidemic of childhood obesity in America. In May 2010, Time magazine named Will to the Time 100 World’s Most Influential People. On Sunday, September 1, PCRI will host Portland Roots Festival at Pioneer Courthouse Square in downtown Portland. The festival will be PCRI’s first culturally specific food festival and will raise funds and awareness to promote healthy living through healthy food choices and activities through the rich and ancient sustainable food practices of the African people. Admission to the festival is free of charge and all ages are welcome. The festival will highlight the different yet similar avenues these ancient practices took through the celebration of food practices of African-American, Afro-Caribbean, Afro- Latin, and African Diaspora populations of Portland, Oregon. The celebration will feature food vendors, art, and performances from Portland’s diverse African populations. 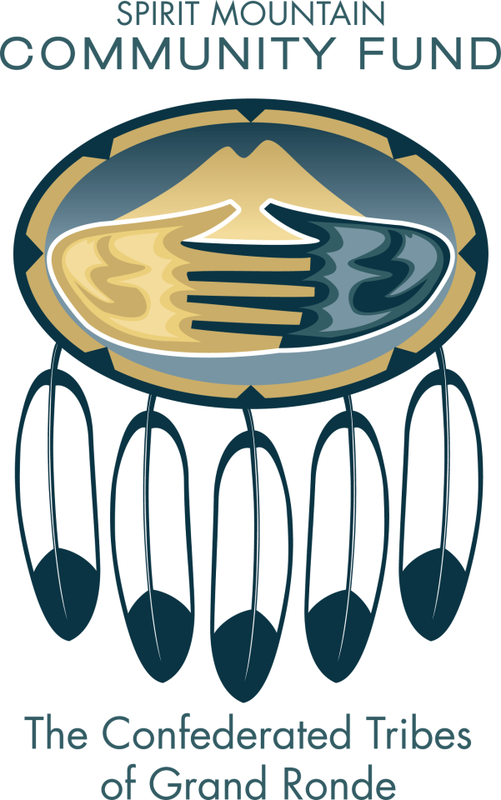 PCRI and its community partners will be present at the festival, sharing information and resources at festival booths. PCRI residents will also be at the festival, sharing their healthy food access journey. Residents engaged in this journey through multiple programs offered through PCRI in the past year: gardening, nutrition education, and Children’s Healthy Eating and Active Living Camp. Are you interested in participating or volunteering? Send an email to Nuhamin for more information, or download/view our volunteer information HERE. 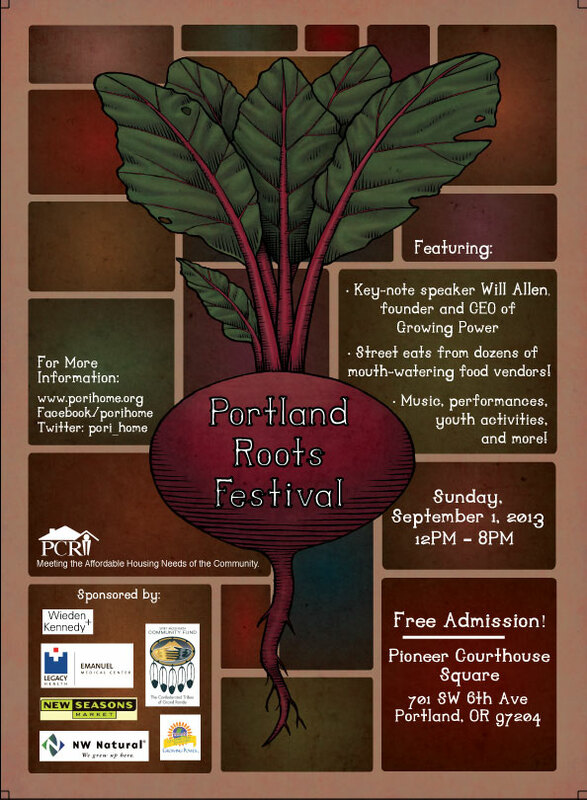 Sunday, September 1, 2013, from 12:00 to 8:00 p.m.
Portland Community Reinvestment Initiatives, Inc. is proud to present the Portland Roots Festival. Come explore the ancient and sustainable food practices of the African people right from Portland’s Living Room. We will highlight the different yet similar avenues these rich cultures have taken through celebrating the food practices of African-American, Afro-Caribbean, Afro- Latin, and African Diaspora populations in Portland, Oregon. Be sure to stay for the key-note speech from Will Allen, founder and CEO of Growing Power, Inc. Will Allen – son of a sharecropper, former professional basketball player, ex-corporate sales leader and now farmer – has become recognized as among the preeminent thinkers of our time on agriculture and food policy. Growing Power Inc. is a farm and community food center in Milwaukee, Wisconsin and Will is widely considered the leading authority in the expanding field of urban agriculture. A special thanks to our event sponsors Spirit Mountain Community Fund, Legacy Health, Growing Power, Wieden + Kennedy, Oregon Health Authority: Office of Equity and Inclusion, NW Natural, and New Seasons Market. 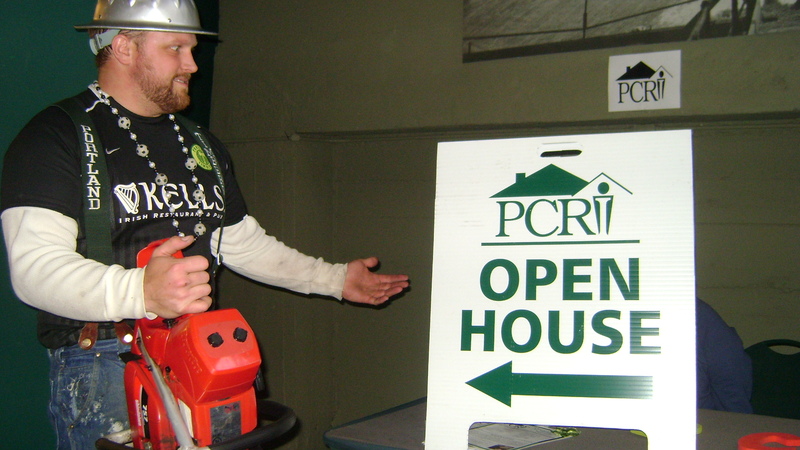 Join PCRI (and Timber Joey) at Portland Timbers match on Thursday, May 2nd to support PCRI’s affordable housing and resident services. A limited number of tickets are available. Get yours today! Tickets are $40.00 each and 20% of each ticket sold provides direct benefit to PCRI residents, supporting the community reinvestment, individualized resident services programs and affordable housing that we provide to help individuals and families stabilize their lives and achieve self sufficiency. Will Timber Joey show off his moonwalk or the splits like he did at PCRI’s Dancing with the Stars gala? We can’t say, but we do know that there are a limited number of tickets, so don’t wait to get yours — email us today! Pass along the word to your friends and family too, but the quantity of tickets is limited. Email us or give us a call soon to reserve yours!